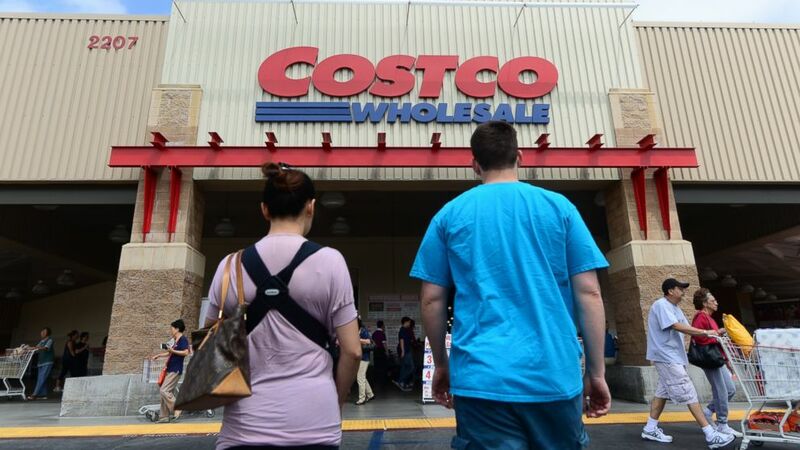 Costco's food court has sold more than 1 billion hot dogs worldwide since 1985.
camera (Federic J. Brown/AFP/Getty Images) A couple make their way toward the entrance of a Costco store in Alhambra, Calif. on June 2, 2013. With some of the most loyal customers in the country, Costco Wholesale Corp. reported today higher revenue from membership fees, beating Wall Street's expectations. The warehouse's strong fourth-quarter earnings, from June through August, wasn't much of a surprise to Ken Perkins, Morningstar equity analyst. "Some of the things they have done well are customer loyalty and retention, membership renewal rates and growth of membership," Perkins said. "People are excited to shop there and it doesn't seem like it’s slowing down." While e-commerce competition and convenience shopping are challenges to big box retailers, Costco seems to be bucking that trend at least for now, Perkins said. The thing people like most about Costco, Perkins believes, is they feel like they're getting a good deal. "People really feel confident even if they spend quite a lot of money on bulk," he said. 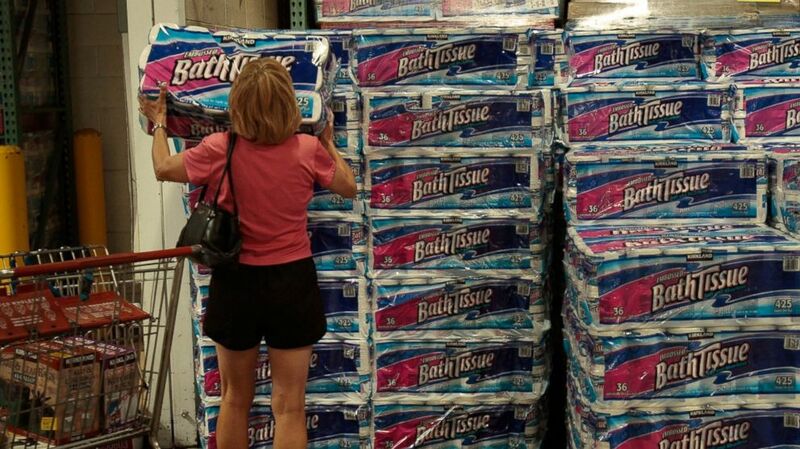 (Chris Hondros/Getty Images) A shopper grabs a bulk package of toilet paper at a Costco store April 4, 2008 in Tucson, Ariz.
Costco's best-selling product is its toilet paper, according to CNBC. (David Paul Morris/Bloomberg/Getty Images) A service deli worker places cooked rotisserie chickens in containers at a Costco store in San Francisco, Calif. on Dec. 6, 2011. Costco's rotisserie chicken is one of the products that Costco keeps at a low price to help drive traffic to the store, Perkins said. 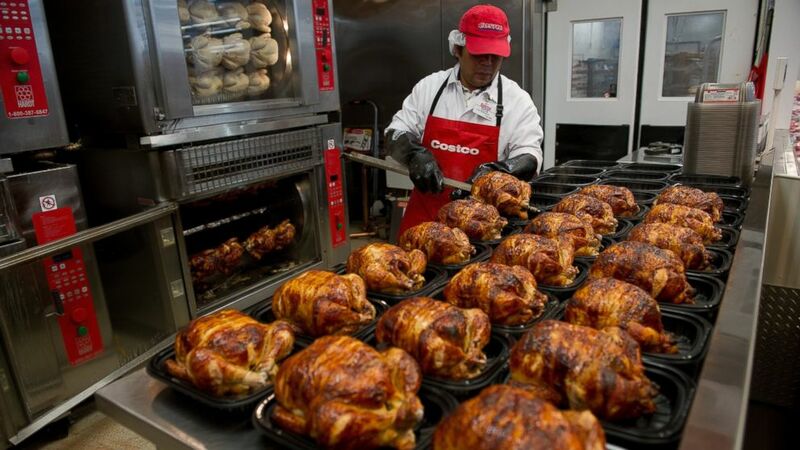 Costco uses more than 67.8 million rotisserie chickens per year worldwide, according to the company, and more than 159,000 rotisserie chickens a day worldwide. That’s one for every two minutes Costco is open. 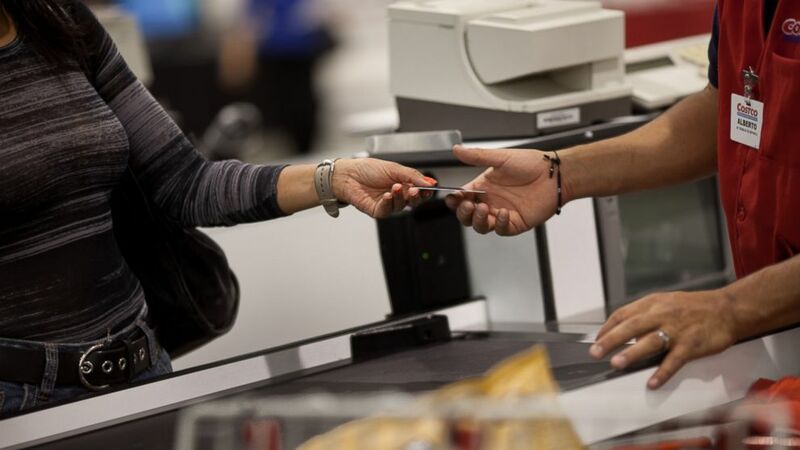 (Dominic Bracco II/Washington Post/Getty Images) A customer hands the cashier her membership card to make purchases at the Costco outside of Mexico City on May 21, 2012. If you're not satisfied with a product you can return it to any warehouse, with or without packaging. The company prefers you keep your receipt, but the company will "do our best to process your return without it," it says. It has a 90-day limit, "to keep our costs low," on electronics like televisions, projectors, computers, cameras and cell phones, the policy states. Last year, Costco sold more than 2.6 million TVs. 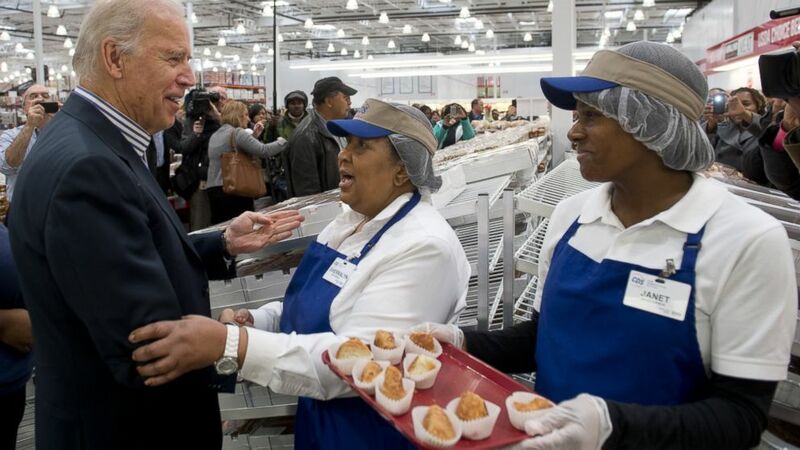 (Saul Loeb/AFP/Getty Images) Vice President Joe Biden tries food samples during a visit to a Costco store on a shopping trip in Washington, DC, on Nov. 29, 2012. Last year, Costco sold more than 145 million croissants, 140 million muffins and 137 million bagels. (Getty Images) Costco's Optical department conducts eye exams and sells glasses and contact lenses. Rotisserie chicken? Check. Contacts or glasses? Check. 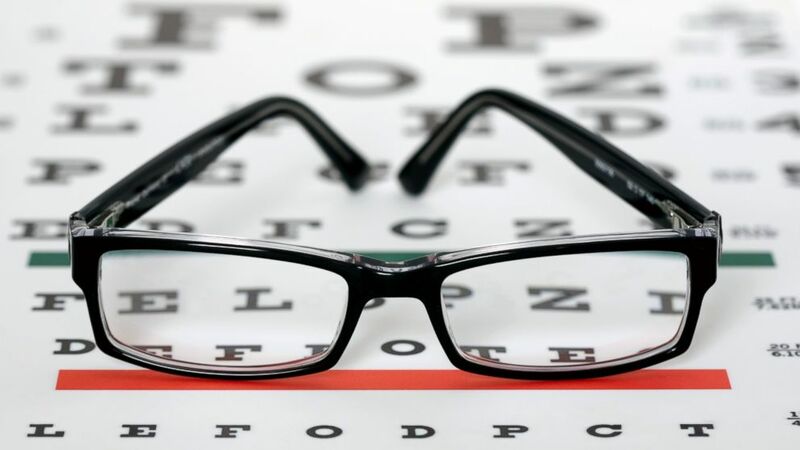 Costco Optical is the fifth-largest optical retailer in the U.S. Last year, Costco Optical sold more than 3 million pairs of glasses in the country. 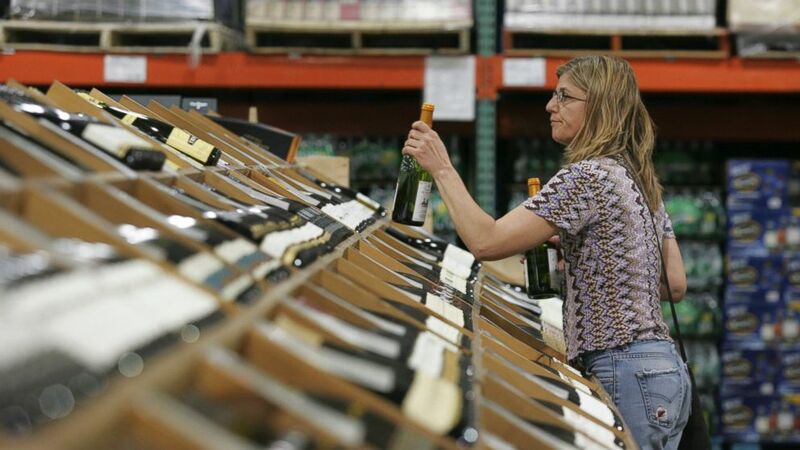 (Molly Riley/Reuters) A shopper selects bottles of wine at the Costco Warehouse in Arlington, Va.on May 29, 2008. Depending on state and local laws, you can also pick up a bottle of wine or beer at Costco, the largest retail purchaser of Dom Perignon Champagne in the country, according to the company. Last year, Costco had more than $1.46 billion in wine sales worldwide. You can also get your very own Kirkland-brand of wine. In the last fiscal year, Costco said it sold more than 15 million bottles of Kirkland Signature wine. 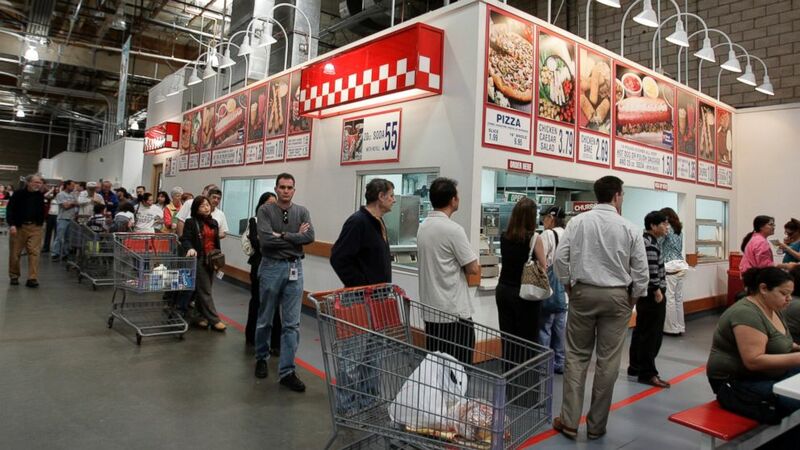 (Paul Sakuma/AP Photo) Costco warehouse customers wait in a long line during lunchtime for hot dogs, pizza, and drinks at a Costco store in Mountain View, Calif. on March 6, 2007. Costco’s hot dog and soda combo meal is the same price it was 27 years ago: $1.50. Last year, Costco sold more than 109 million hot dog-and-soda combinations worldwide, including more than 75 million in the U.S. The Costco Food Court has sold more than 1 billion hot dogs worldwide since 1985.